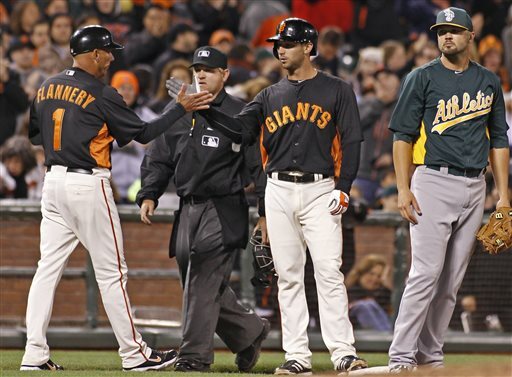 The San Francisco Giants have a menagerie of animal nicknames for their players. They all make for good sellers at the Giants Dugout store. And now that other items like the Timmy wigs (he cut his hair) and Wilson beards (off the team) are now in the clearance bins, maybe it’s time for another fuzzy nickname. And rookie infielder Nick Noonan appears to be the perfect candidate. Well, that’s not a good nickname. You don’t want Giants fans yelling “NNNNNNoonan!” whenever he comes to the plate. But if you want a cute and fuzzy nickname, you just need to take the Caddyshack reference a step further. 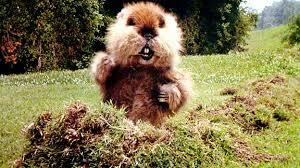 Noonan = Caddyshack = Gopher! Noonan has certainly earned it. He went 3 for 5 with two runs in Thursday’s game against the Cubs, raising his season average to .455 (5 for 11) and helping the Giants rally from an early 5-0 deficit. And think about, the nickname worked on Thursday. Bill Murray is a big Cubs fan. Murray starred in Caddyshack as the groundskeeper who was tormented by …. The Gopher! The Gopher tormented the Cubs on Thursday. Last season, the rookie call-ups from Fresno didn’t fare so well. Charlie Culberson, Conor Gillaspie and Francisco Peguero struggled to hit their own weight. But Noonan is holding his own after he became the Giants’ fallback option for a reserve infielder. He may even allow the Giants to forget about Tony Abreu, who still hasn’t begun his rehab assignment from quad troubles that sidelined him during spring training. Noonan can play second base (where he got his first big league start Thursday in place of the resting Marco Scutaro), shortstop and third base. So let’s hear it for Noonan, a.k.a The Gopher. Let’s get some legs on this nickname. Spread the word. 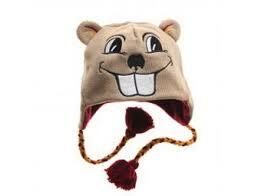 I expect to see gopher hats in the Giants Dugout stores by the end of the month.